What dishes do you make when you have your family around the tables? What recipes or dishes scream "The Holidays" for you? Some of the recipes our bloggers came up with may surprise you! 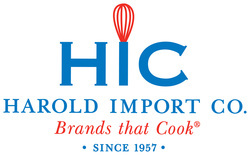 Some of the recipes for November were sponsored by HIC, Harold Import Co.